One of our new chicks died this weekend. We knew it was coming. By Saturday night, she was wobbly and had difficulty standing. She wasn’t eating or drinking. We also had a pretty good idea of what was wrong with her. When my son went to get our new chicks he chose her because she was “so darn adorable.” And she definitely was adorable – all tiny and cute as a button. But as her sisters started growing, this little one couldn’t keep up. Her wings grew, but her body didn’t, making it look like she was constantly dragging a coat around that was much, much too large for her. I fear my kids have picked up my “save them all” philosophy. My son chose the tiniest chick because he wanted to give her a chance. He knew that if he brought her home she would be taken care of, fed, watered, played with, and protected. He knew that although small, she just might make it if she came home to live with us. To be perfectly honest, I would have done the same thing. I *have* done the same thing. Over and over. We’ve been able to save a few over the years. But it’s tough, because often these end up being the chicks that don’t make it. If you want strong healthy chicks, you pick the large, active, bright-eyed, chirping ones that scurry away from your hand. 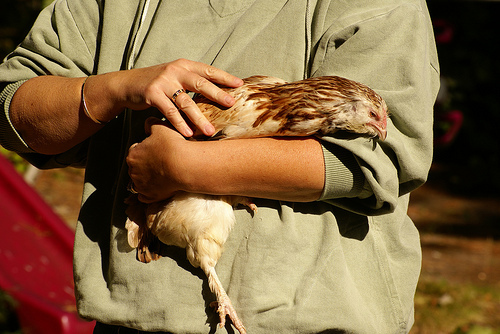 If you want your chicks to live, you stay away from the smaller, quiet ones. You save those for people like me, who are willing to give them a chance, even knowing it’s very likely that instead of living, these little ones will only end up taking away a tiny bit of your heart with their passing. What a fun-filled Mother’s Day. On Sunday I drove to Norwich to bring one of our chicks home for the summer. 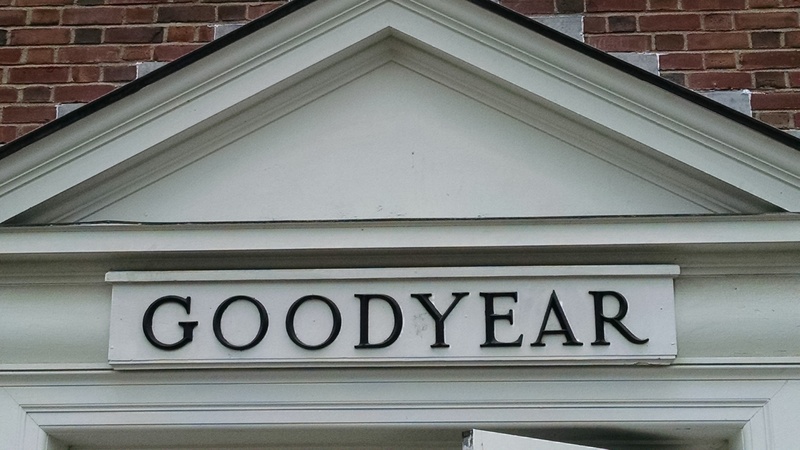 Alas, with that trip ends all of my “Good Year” jokes – my only consolation is that he may be living in Dodge dorm again next year so at least I can take up where I left off with the “Get out of Dodge” jokes. Bye Norwich, it’s been a good year. 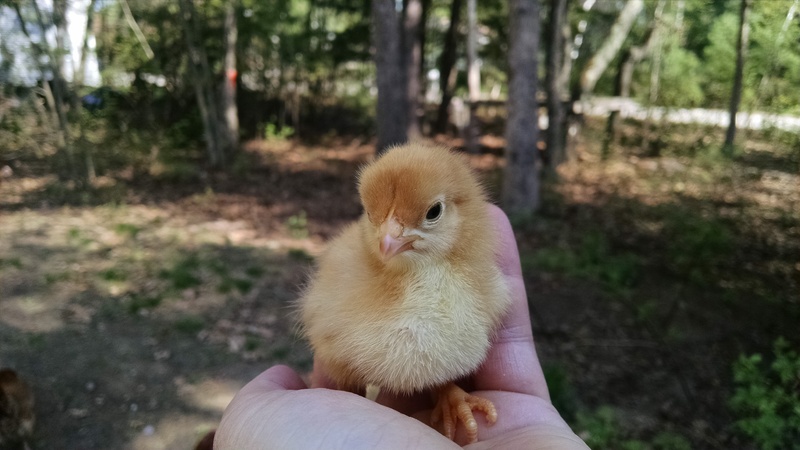 Lesson 1253 – It’s MORE baby chick(s)!!!! Okay, this is getting ridiculous. Yesterday morning, as I was walking by a window, I saw and heard a great commotion with our chickens. Wings were flapping and the birds were sending out a clear distress signal. 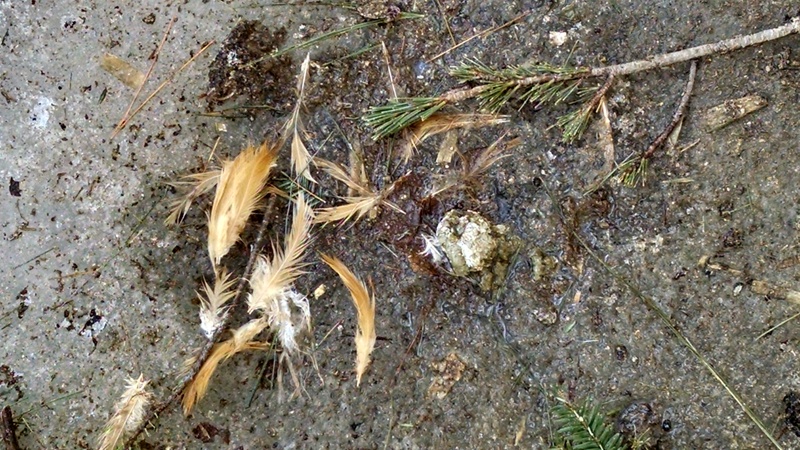 I saw a massive bird on the ground attacking one of our birds. This is what you call a near miss. It took me close to an hour to round up the flock and replace them into the coop. Even the most timid ones allowed me to pick them up and coo my reassurance. Those girls were scared! So, not only do we have our neighborhood peregrine falcons, but now the red-tails are back. I wasn’t kidding when I had said that it looked like our yard was turning into an all-night diner. Which all means we have to do something very soon to save our chickens. I have some larger birds and our tunnels would need to be taller than a sheet of chicken wire bent over. But most importantly, for us, we need a place where our chickens can immediately go to for protection. I don’t want them all having to scurry for one entrance. What we’ve decided to do is build low platforms using lumber and chicken wire. Very easy – we’re essentially going to build a frame and then staple the wire on top leaving the sides open. Using our best camo-skills we’ll then cover the top with leaves and brush. I’m not quite sure of the size yet, but we’re planning on having three “panic room” strategically placed in our yard. One near the coop entrance, one in the penned in dog area and one near the back corner of our property. If the locations aren’t the best, we’ll just pick them up and move them. I’m hoping that this solution will give our chickens a bit of a fighting chance against our neighborhood bullies. As we all start thinking about baby chicks (and I know some people have already gotten theirs and oh, do I have chick envy) I want to remind you of this very important bit of information. Chickens like the color red. It’s in their DNA to investigate and peck at anything that is red. For this reason, most feeders and waterers have red bases. Thank you all for your wonderful and supportive comments regarding my father, each one has touched me. The funeral will be this weekend and while it will be sad, all of my brothers and sisters will be there, along with my mother. I’m sure we’ll all have some big smiles as we remember our Dad. As it is spring in New Hampshire (at least on the calendar – we ended up getting some snow on the first day of spring) people’s thoughts are turning to chicks. I gave a chickens 101 presentation to a women’s group who were interested in either getting chicks or continuing to maintain their current flock. They had lots of great questions, backyard chickens are still gaining in popularity. We got 12 new chicks last spring (only 1 ended up dying) and don’t really need any new members of our flock (in a few weeks, we are going to be flush with eggs) but knowing that the peregrine falcons have discovered our backyard take-out restaurant, I’m going to be getting 4 new chicks just in case. This time, I’ve decided to get 2 Columbian Rock Cross and 2 more New Hampshire Reds. Of last year’s batch, it was the New Hampshire Reds that ended up being the friendliest and most willing to interact with the rest of the family. They are a sturdy, red/brown, consistent egg laying bird bred specifically for our climate. For us, that’s a win-win-win situation. As far as the Columbian Rocks, although they look similar to Light Brahma’s (of which we have had 2) there is enough of a difference for me to give them a try. As you have probably figured out, we like a flock filled with diversity. “Friendship is not a big thing …. it’s a million little things.” anon. 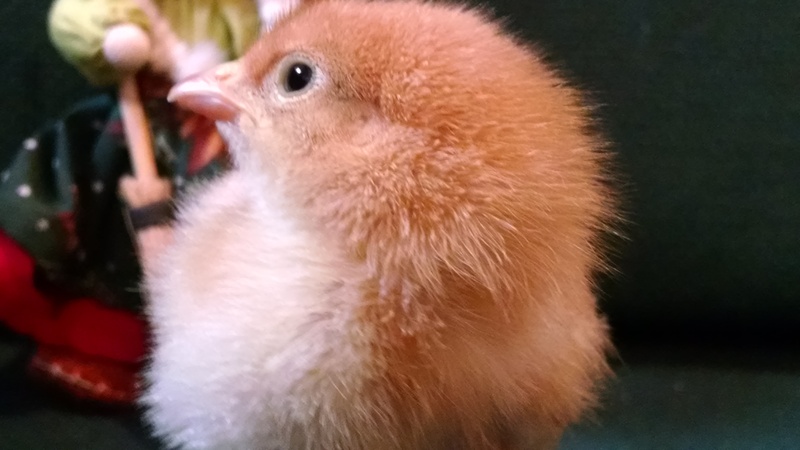 Even with all the snow on the ground, it’s time to start thinking about chicks. People and groups are starting to ask me to present information on how to get and care for those little Easter-card-worthy balls of fluff. Last spring we added 12 new members to our flock and only one of them died. 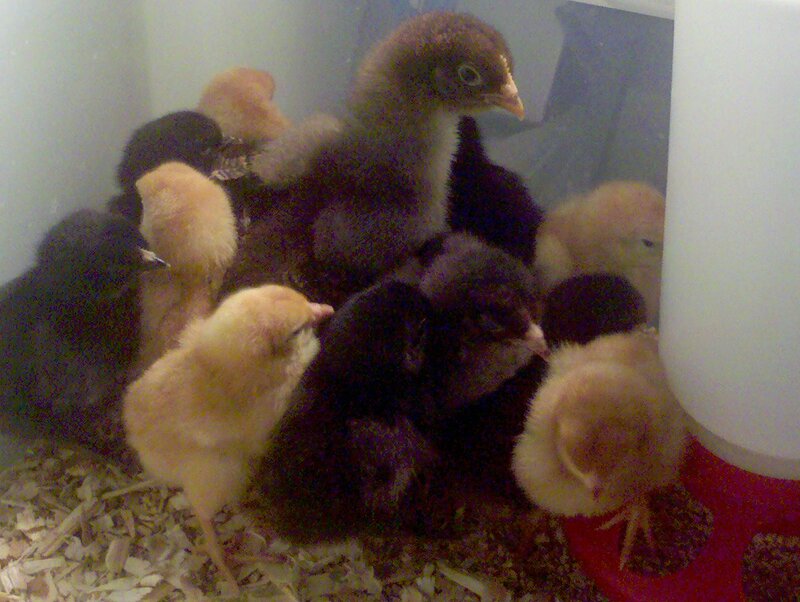 Those are pretty good odds when you purchase a slew of chicks from store bulk batches. We currently have a flock of 27 birds (provided we can make it to the other side of winter without any losses.) A good-sized backyard flock.